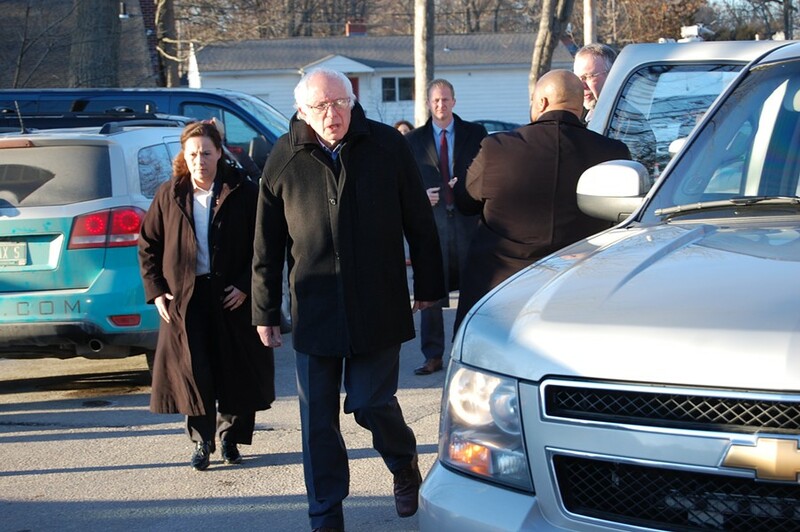 Sanders arriving at the polling station. 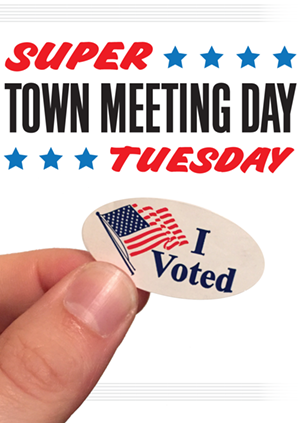 Sen. Bernie Sanders (I-Vt.) dropped by his New North End polling place shortly after 7 a.m. to cast an early vote on a chilly Super Tuesday. It's a crucial day for Sanders' presidential campaign, with Democratic contests in 11 states and 880 delegates on the line. In his brief remarks to the local and national press, the candidate acknowledged the stakes. 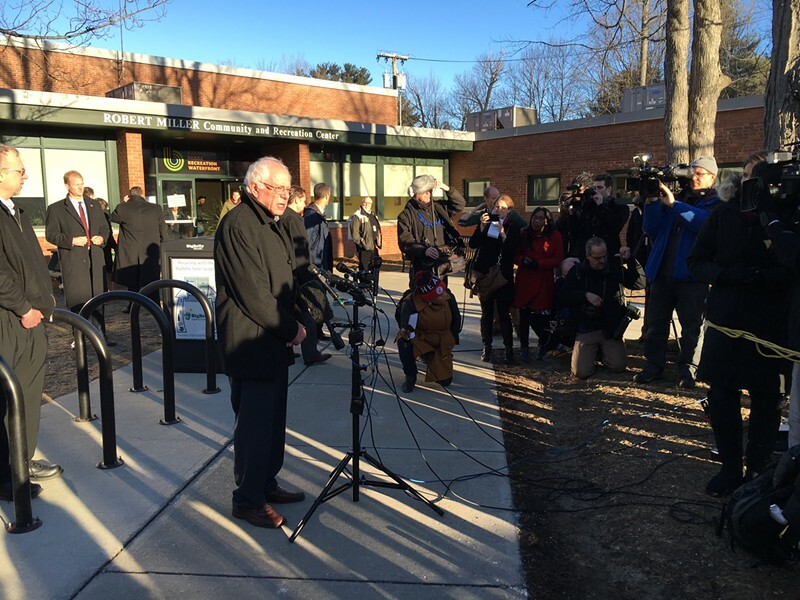 Bernie Sanders talks to reporters after voting in the New North End. “There you go,” Sanders said. 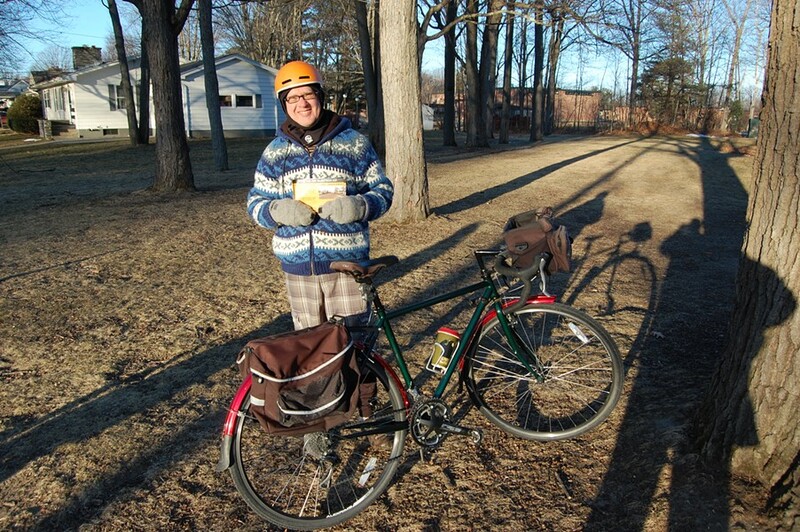 He got at least one more, from Mark Rowell, who arrived at the community center on a bicycle before Sanders did. Rowell stuck around, handing out literature urging voters to vote no on question No. 2, which would advise the city to keep four lanes of North Avenue devoted to vehicular traffic.